Earn 10 points for every $1.00 spent on qualifying purchases. Earn and redeem points at Kmart, Sears, Lands' End, The Great Indoors, Sears Auto Centers, and mygofer. Earn Points at Kmart Pharmacy and Sears Home Services. Return merchandise without a receipt. Redeem points immediately or save them for a special purchase. Receive bonus offers via mobile phone text messages (if you provide your mobile phone number). Access a Members-only website to review purchases online, get credit for past purchases, and manage your account online. How do I use my Shop your Way Membership? Shop, earn points, and the next time you shop, cash in your points to save money. It's that simple and that awesome. Points are Shop Your Way currency. You can earn at least 10 Points for every $1.00 spent in stores or online at Sears, Kmart, Lands' End, The Great Indoors, and mygofer. The more you shop, the more Points you'll earn! But earning is only half of it. Redeem as many Points as you like at checkout, knocking money off your total purchase. When you shop, the earning and redeeming cycle continues, always saving you money. You must be 13 years of age or older to enroll in the program. The Shop Your Way program is designed to reward Members with special offers. You'll receive custom offers and exclusive deals at the Shop Your Way website based on the purchases you make. You can also receive our offers that are sent via email, text message, and postal mail. Remember to complete the “About Me” section in the “Settings” page of your profile to ensure you receive offers that are right for you. Are there Membership levels in the Shop Your Way program? Yes. You can either receive benefits as a Member or Bonus Member. Bonus Members have a valid email address and have signed up to receive Shop Your Way emails. Members do not have a valid email address or have not signed up to receive Shop Your Way emails. 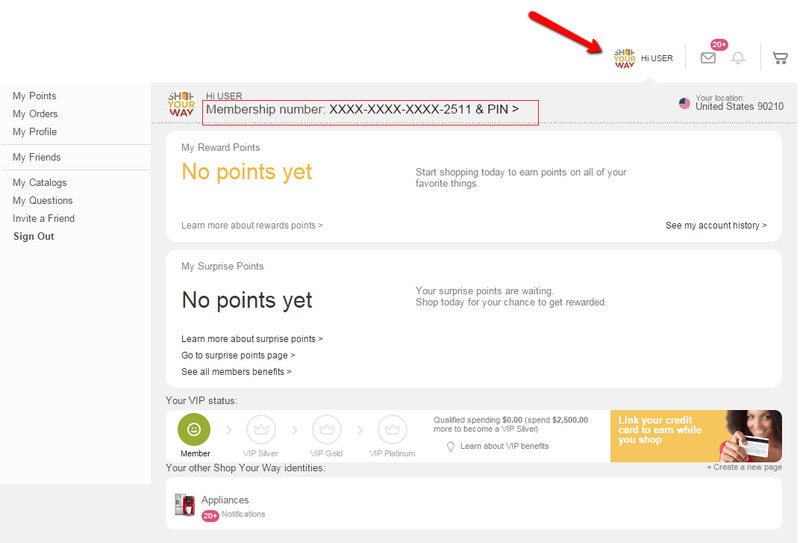 For further details regarding the Shop Your Way VIP levels, please see the Help section on our VIP Member Program. Can I use my Membership at any Sears store? You can use your Shop Your Way Membership online and at select Sears stores in the United States, including Sears, Sears Auto Centers, Sears Grand, Sears Essentials, Sears Hardware, Sears Authorized Hometown Stores, Sears Home Services (please note that currently, you can only earn points on eligible purchases at Sears Home Services), Sears Outlet, and Sears.com. Certain services like Sears Dental, Sears Hearing Aid Centers, Sears PartsDirect, and Sears Photo Studio are not participating at this time. How can I check to see if I have any offers? After you've signed into your Shop Your Way account, click on the “Shop” tab on the homepage, then click on the “Deals & Coupons”. Can I use my Membership when I shop online? Always! Just add your Shop Your Way Member number to your Sears.com, Kmart.com, Landsend.com, or Thegreatindoors.com profile, or enter it during checkout. While we do not allow Membership sharing, Shop Your Way is open to everyone 13 years or older, and is a great way to get the entire family earning Points whenever they shop with us. My friend got a special coupon offer and I didn't. How do I get that same offer? Shop Your Way is designed to give you offers that are especially tailored just for you. Not all offers are available to all Members. To receive offers that are more relevant to you, remember to provide your Member number, phone number, or email address to the store associate every time you shop, and complete the “About Me” page of your profile to get the most from the program. This page can be found by clicking on your username at the top right of the screen ,then on My Profile from the left menu, and then selecting the "About Me" tab on your profile setting page. 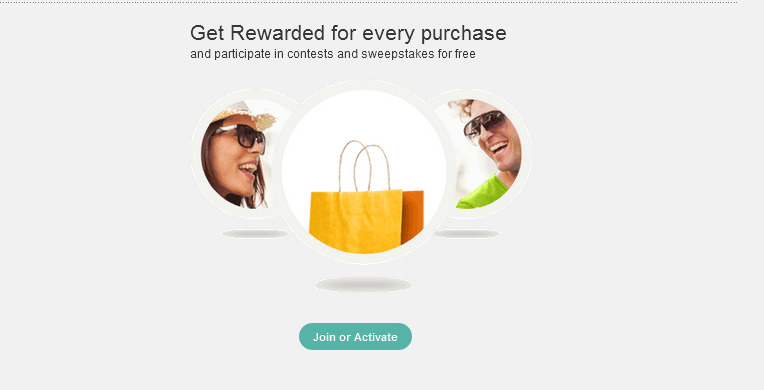 Do I need to reference a special promotion code or offer when shopping at Card Link Rewards Partners to get my points? No,once you have successfully enrolled your Visa card(s), all you need to do toearn points is use your enrolled Visa card for your purchase and meet any termsof the points offer (like a minimum purchase amount or program offer date) –it’s that simple! My family has more than one Sears card. Can we have additional Shop Your Way Memberships? Yes. Each cardholder in your family can enroll in Shop Your Way. Simply have the additional cardholders in your family enroll in the store or online to sign up for their own Shop Your Way account. Please note: only one email address can be used per Shop Your Way account. I'm already a Craftsman Club Member. Can I also participate in Shop Your Way? Yes. Just enroll in Shop Your Way so that along with the Craftsman Club benefits you've been enjoying, you can also receive Shop Your Way benefits. Plus, you'll earn 10 points or more for every $1.00 spent on qualified purchases. See Craftsman Club for more information.